It’s almost Halloween, and I’m sure by now you’ve already planned your child(ren)’s costumes, but what about you? I know I love the one chance a year to dress up and have fun with my family! If you are still on the hunt for that special costume for you or any member of the family BuyCostumes.com has you covered they are the The Online Leader in Halloween Costumes since 1999! 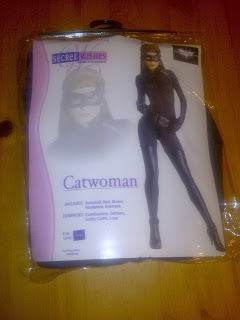 This year thanks to BuyCostumes.com I am going to be Catwoman, per request of my little batmen! My Children are batman crazed, and we are making it fun this year, My son will be batman, my youngest daughter is going as batgirl (my oldest daughter is always the oddball she’s going to be a darth vader princess) I’m going to be Catwoman and My husband the Joker! 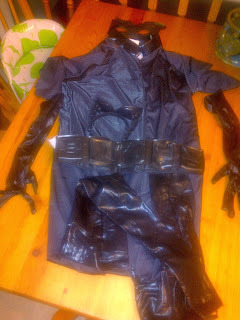 SO I am was WAY excited to receive this Catwoman costume for review, our family Halloween attire is complete! First before getting to the costume let me rave about buy costume’s customer service, when I first received the costume there was a hole by the zipper I called customer service, dreading having to deal with typical customer service, but they were UH-mazing! I called was on hold maybe 1 minute had a real person, i told him what the problem was instantly he apologized asked for an order number and within seconds had everything pulled up and even asked when I needed the replacement by, their customer service was by far the best I have ever dealt with! they get 5 stars for customer service alone! Now on to the costume: I love this costume, it included, the jump suit with “leather-looking” thigh high legs, black gloves, the mask belt and ears, it was great that it included everything that I needed without me having to purchase all the pieces separate! My favorite feature of this Jump Suit would be the Full coverage, while running around to Halloween carnivals and trick or treating with my children I still want to be in costume but I want to be covered and this is wonderful, it features a zip up jump suit so you can decide if you want it fully zipped or opened a little which is great! I ordered a large because most costumes do run small but I should have probably ordered a medium, I always tend to buy stuff too big, but the costume still works wonderful! I also had a friend of mine try it on to see how it worked on different body types and we were pleasantly surprised, I am 5 ft 1 and she is 6 ft this costume fit us both no problem at all, so it is very versatile! sorry I had no one to take photos on me in the costume, but I WILL be posting them soon! My Overall Experience with BuyCostumes.com was FANTASTIC, from customer service to the actual costume itself I couldn’t ask for better! 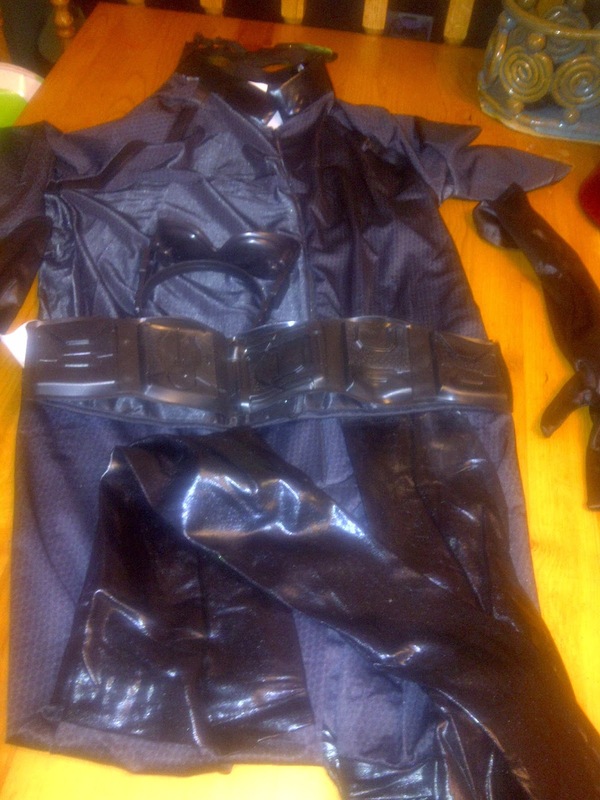 If Catwoman isn’t your thing never Fear BuyCostumes.com has something for everybody! I've seen costumes by that brand before, and it looked nice too! I think it was Super Girl. I love not having to buy separate pieces too!